A Nakuru Court was on Thursday treated to drama after passengers arrested for failing to fasten their seat belts claimed they were unlucky to have been arrested by the police. Arrest made over unfasten seatbelt. 30 were arrested near Nakuru town Thursday morning at around 10 am and charged with the offence which is contrary to section 119 (1) of Traffic Act Laws of Kenya. One of the passengers told the court that no sooner had she unfastened her seat belt than the police pointed at her to move out of the matatu she was in. “I had dozed off and my neighbour woke me up after I heard the car stop. I thought I had arrived at my destination and I unfastened the safety belt only for the police to instruct me to alight from the car,” said the passenger. She was not the only one who counted herself unlucky. 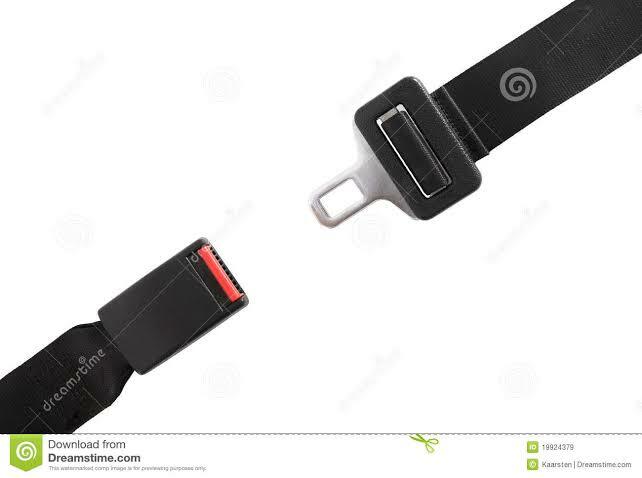 When another passenger was asked by Resident Magistrate Wilson Kitur why he did not fasten his seat belt, he said that he was caught up in his usual habits. “I always unfasten my seat belt when I near my destination. It is an old habit. But this time, the police were waiting for me. I was unable to fasten back my belt since it had fallen down,” said the passenger. The courtroom broke into laughter when the passenger claimed that he believed the police had read his mind and were bent on punishing him. “It was a matter of time before I was caught up in my habit. At least now I will ensure I reach my destinations before I unfasten the belts,” he said. Magistrate Kitur who was flattered decided to free all the offenders who looked remorseful. “I am now in a good mood. Count yourselves lucky. I will free you today because I am in a good mood,” said Kitur. He urged the passengers to always ensure that they fasten their belts because it is a safety measure and a requirement by the law. “I urge you to always keep your safety belts on until you arrive at your destination. The next time I will not be smiling like today,” he said. The court was filled to the brim and the orderlies were forced to order other people to go outside the court so the passengers could all fit it. Because of the number, the magistrate who had to call all their names all of their names had to read their charges collectively. “I will do it in a wholesale kind of manner. I expect you to reply the same way,” he said. “You have all been charged with the offence of failing to unfasten seat belts, how do you plead?” “We admit!” they all pleaded in unison.